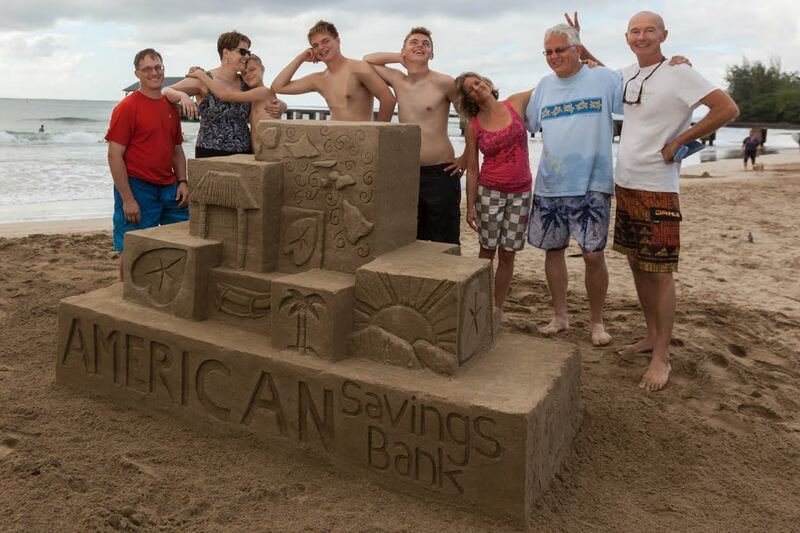 The FREE 2015 Sand Festival and Sand Castle/Sculpture Contest will be on Sat, Aug 8th 11-4 PM this year. This event is about making something as amazing and transient as a top quarks, pions, mesons, w bozons and muons. Mark it on the calendar. Let your friends know. Close your eyes and imagine what you will create this year. Make your plans. Architect your dream in sand. Design your amalgamation of calcium carbonate, volcanic glass and olivine particles in your mind then on paper and finally into a manifest creation with a team of your choosing at the Sand Festival. Reveal the ephemeral nature of reality for all to see. Like the forces of nature everyone is invited to come build, embellish and perhaps even demolish their magnum opus. !! !